Reindeer don' fly . . . or do they? This special member of the deer family has a lot to live up to. Best known as Santa's lead man, he's friendly, loves the cold weather, and is always up for an adventure. 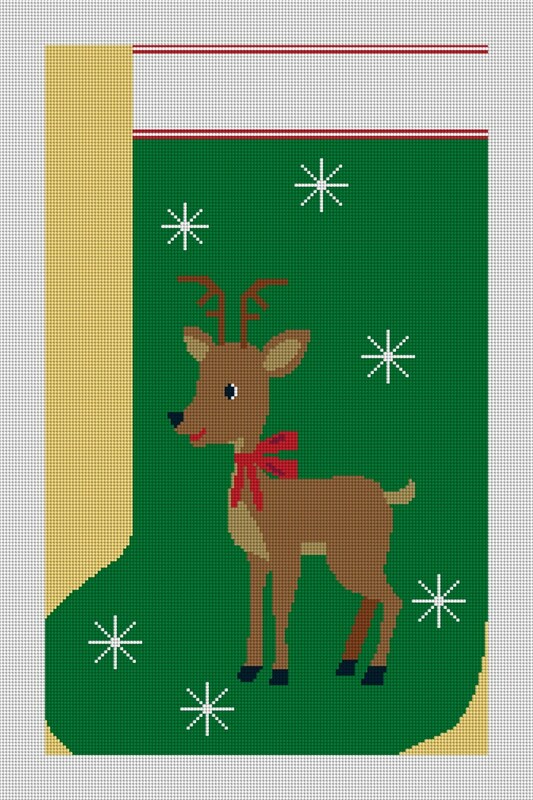 Add a little touch of magic to your Christmas mantle, by stitching this needlepoint stocking canvas. You will create a friendly and familiar image, which is sure to bring joy for years to come.